Sometimes, we tend to disregard our windows. As long as they bring in natural light to illuminate your room and create a warm, inviting space, you are fine with how they function. You can, however, decorate the area surrounding these fixtures without blocking the natural light source. Even with these additions, the sunlight can still brighten your space, making your windows the focal point of your indoors. 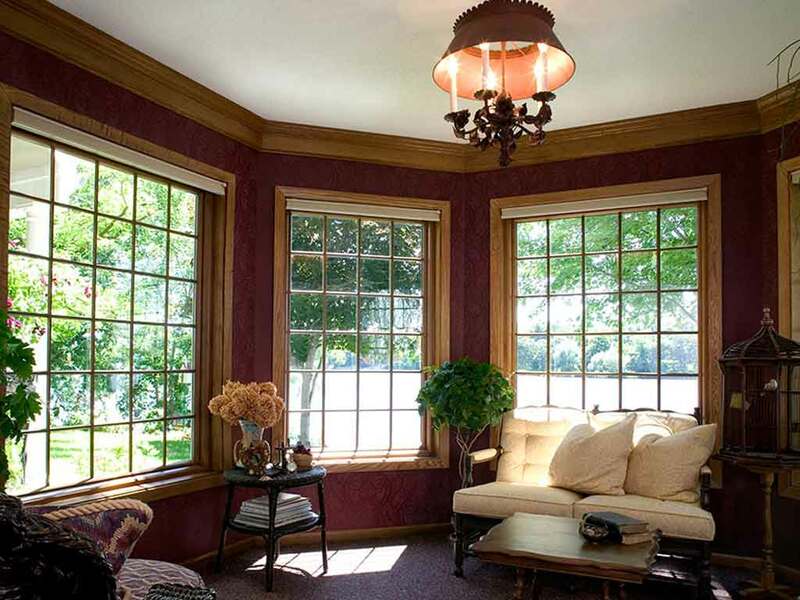 Renewal by Andersen® of Western New York, your local window company, shares tips to make your windows stand out even more. Unless you already have a great view of your outdoors, placing curtains and drapes can help enhance the look of your window area. In this instance, we recommend sheer curtains so that you can still maximize sunlight entering your home while establishing a light, airy look. These curtains are translucent enough that you can still see outside even when they cover the windows. For these coverings, go with neutral colors. That way, you draw the viewer towards the window’s architectural features and not to the curtains themselves. In addition to sheer curtains, you can add more to your windows with seating. For your living area, a great idea would be placing a couch directly at the base of the window area. Though it can draw enough attention in itself, the long sofa can help highlight the windows, especially if both follow a contrasting color scheme. Create further visual interest with wall decorations around the window, including small paintings or any wooden frame. An example would be to install a set of circular mirrors with varying designs and sizes. With the help of a local window replacement company like us, you can be sure your windows look their best. Call us today at (585) 481-8006 or (716) 235-2200 to learn more about window offerings for your project. You may also fill out our contact form for a free, in-home consultation. We serve residents of Rochester and Orchard Park, NY.